SKU: AHTR1005-96. Categories: 96-well plate, Albumin (human), TR-FRET PINCER. Tags: human albumin, quantification of human albumin, rapid screening of human albumin. This assay is ideal for quick screening and quantification of human albumin in urine, saliva, culture media, plasma, and serum samples. Human serum albumin (HSA), 67 kDa, is a non-glycosylated, negatively charged plasma protein synthesized primarily in the liver. Albumin comprises approximately one-half of the blood serum protein. Serum albumin is important in regulating blood volume by maintaining oncotic pressure. It effectively buffers plasma pH. Albumin also serves as a carrier of hydrophobic molecules, including lipid soluble hormones, bilirubin, bile, calcium, and iron. Several low- and high-affinity ligand binding sites on HSA are responsible for the binding of most pharmaceutical drugs. Clinically, serum albumin measurements are used as a diagnostic screen for several disease conditions. Low serum levels are associated with liver damage/cirrhosis of liver, nephritic syndrome, inflammation and malnutrition. High albumin levels usually reflect dehydration. The protocol for the TRF-PINCER® Assay is simple and fast. 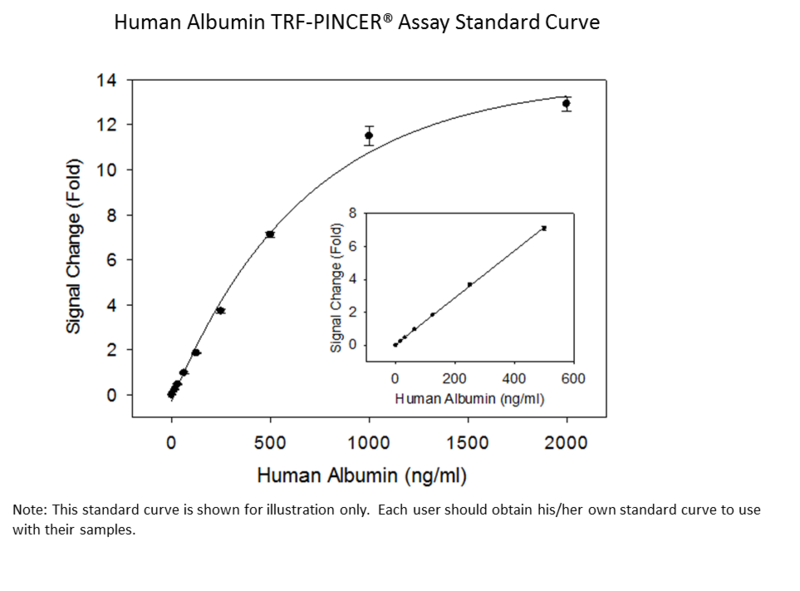 Assay measures human albumin with an LOD of 15.6 ng/mL. This assay was developed for use in a 96-well plate format. 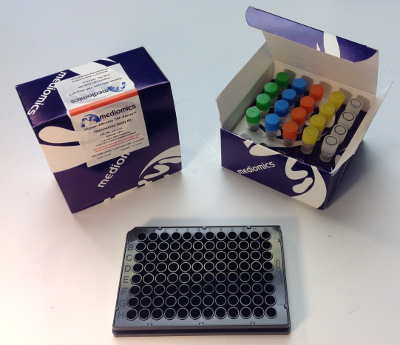 The PINCER® TRF Assay kit is provided for laboratory R&D use only. 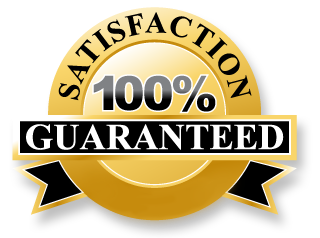 This product is not approved by the U.S. Government or by the government of any other country of the world for use in the clinical diagnosis of disease, or trea®ent of disease in humans or animals.